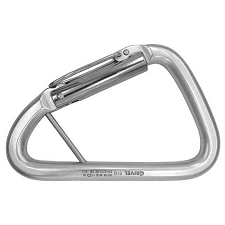 The Panic easily reaches the most distant anchor points, thanks to its stiff tubular webbing and ingenious gate, which stays open until it comes into contact with a hanger. 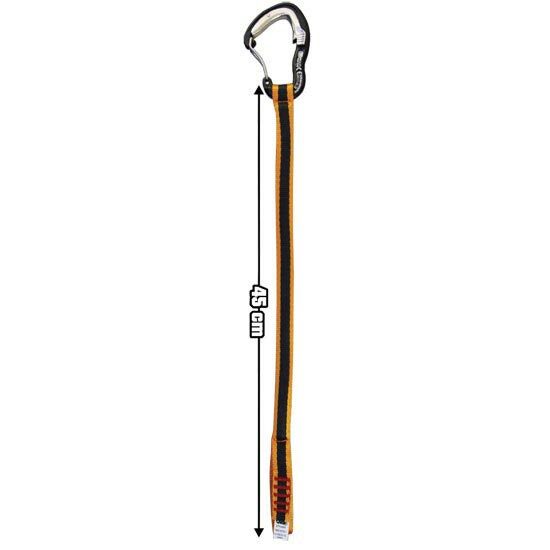 45cm semi-rigid tubular webbing has an inner aluminium flexible tube to keep it stiff enough to reach distant clip-in points. 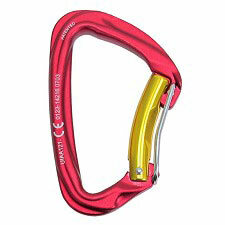 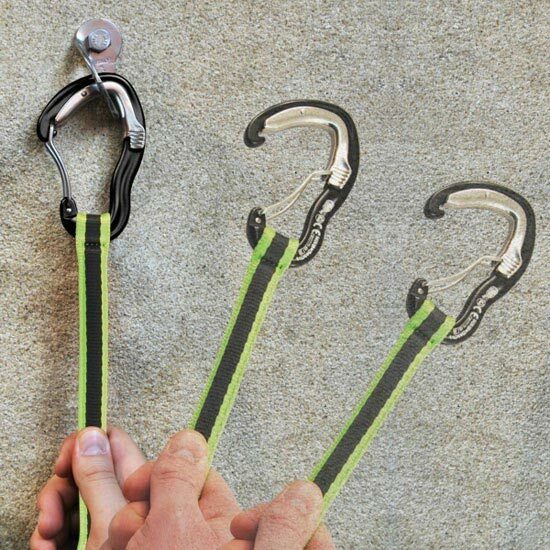 Ingenious carabiner has an open gate which closes once it comes into contact with a bolt or hangar. 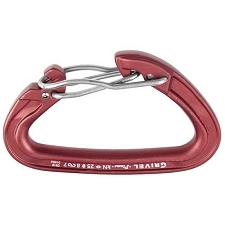 The mechanism has a safety device which prevents the gate from accidentally opening, once closed. 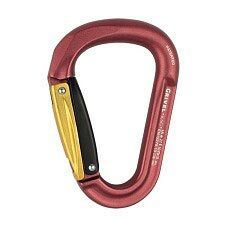 By attaching a classic quickdraw (with straight and curved gate carabiners) to the Panic, you will achieve an extra length of almost 50cm. 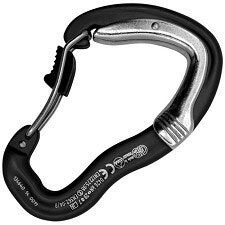 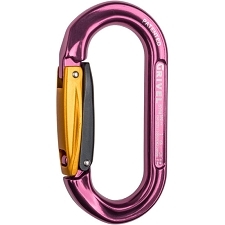 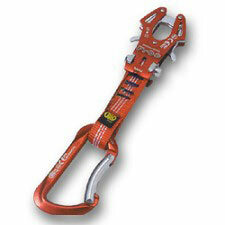 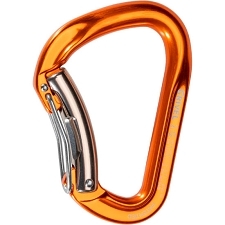 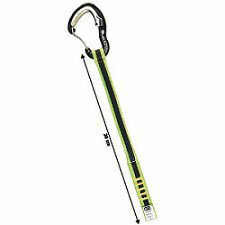 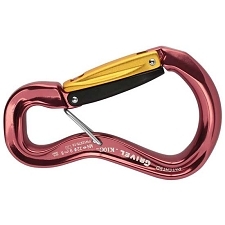 Originally designed for semi-equipped routes, it is also appreciated by climbers for speed climbing competition.